Please use this form if you would like to add a comment concerning any aspect of traffic management on Old Road and High Street in Pensford. This is not an official forum. Its function is to provide a useful record of local opinions for future reference. Any comments you make here will be visible to anyone who views this website. Please use the correct form to record your comment. There are separate comment forms for A37 Pensford Hill, Belluton and A37 Pensford South. The 20mph limit hasn’t really helped. Traffic still speeds especially at the wider, straight section of Old Road. Sleeping policemen are known to be effective in reducing traffic speed and could be installed at the Leigh Farm end of Old Road without causing undue noise problems for residents. Lower down, in the High Street, the problem is not so much speeding traffic, but the narrow road – made narrower by parked vehicles – which makes it difficult for pedestrians. On High Street, the cars are really not going fast due to the narrow road and the possibility of oncoming traffic on your lane. This is also helping the pedestrians, especially where the pedestrian way is marked on the street. I see an issue further up the road between The Orchard and Hillcrest due to the missing pavement there, although the lane is still quite narrow. I would suggest to exceed the pedestrian path marking until Hillcrest junction. Regarding the situation on the Old Road, I do not see any reason to keep the 20mph limit there on such a wide and well visible street. The perfect solution would be a 30mph limit which is then enforced by speed cameras at the upper junction to Hillcrest. This would also reduce the risk of accidents in the narrow corner at Leigh Farm. I would definitely avoid speed bumps at any price. They are causing additional noise due to braking and accelerating, they are slowing emergency vehicles and they are causing damage to tires and cars, also on low speeds. 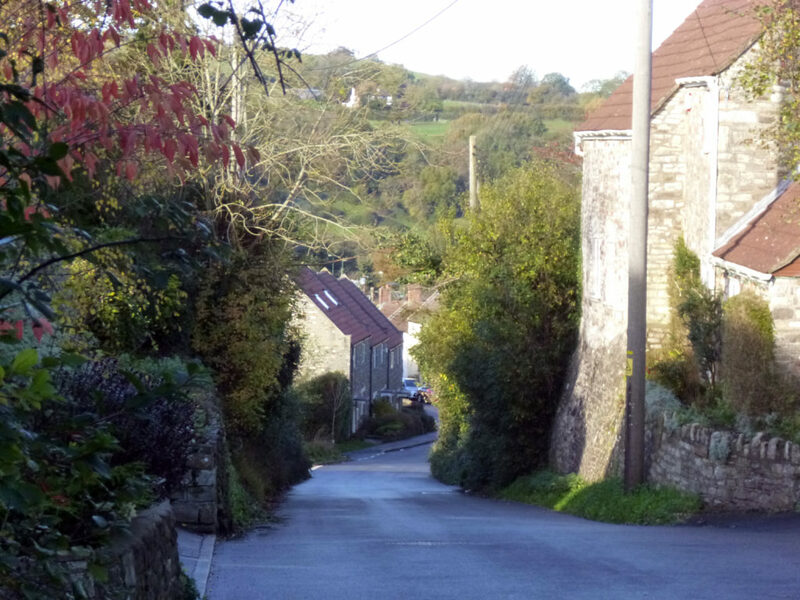 On Saturday 13th January I was driving my tractor up the old high street at about 7am on my way to feed my cows at the top of the road…as I do most days …and found I could not get through the road due to some selfish person who had parked opposite cars parked on the left hand side of the road. The car was not only blocking my access up the road but also parked upon the pavement! Even if I’d been in a small car I don’t think I would have been able to get through. This has happened to me before in the same spot. How can this be allowed to happen? I wish I’d taken note of the licence plate…it had an x in it and the car was red…next time I will. I’ve read in the local paper several years ago about this problem in the old high street before…regarding access for ambulances and fire engines…let alone farmers going about their daily job! Will anything be done about this? Due to inconsiderate parking, all motor vehicles need to cross the white line onto the ‘pavement’ in the narrow section of High Street, which is obviously a serious risk to pedestrians (many of whom are children or elderly). It is of course an offence to drive on the pavement, and it is also an offence to obstruct the highway, but I do not think any enforcement action has been taken by Avon & Somerset Police. One solution to this problem would be to introduce parking restrictions (double yellows) on the narrowest section (approx 50-70m), and for BANES to enforce this.